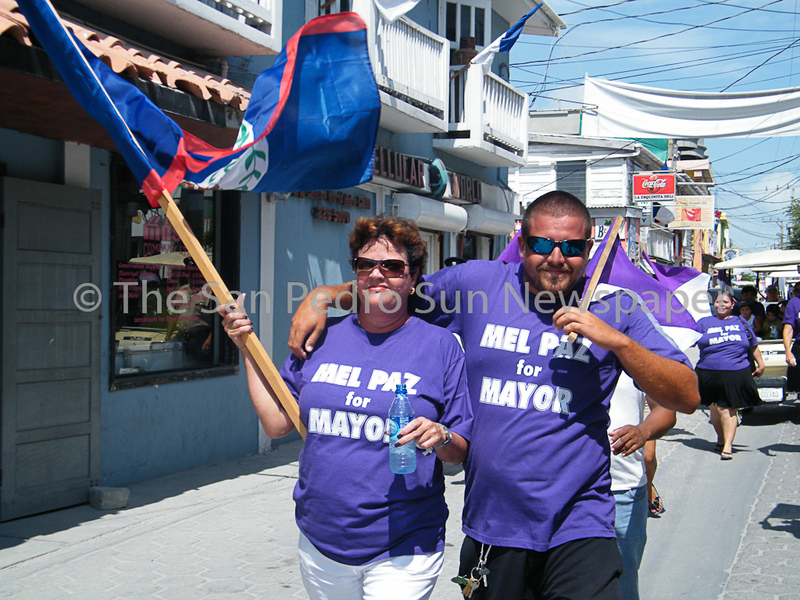 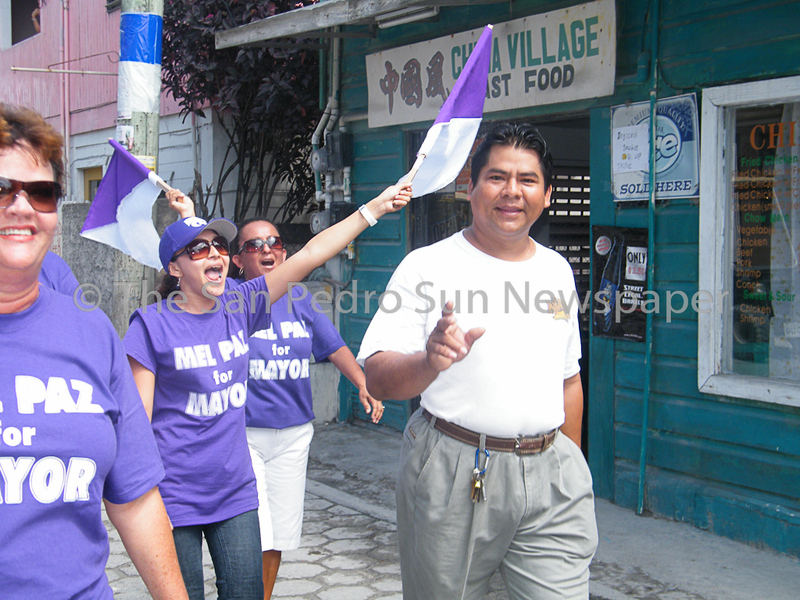 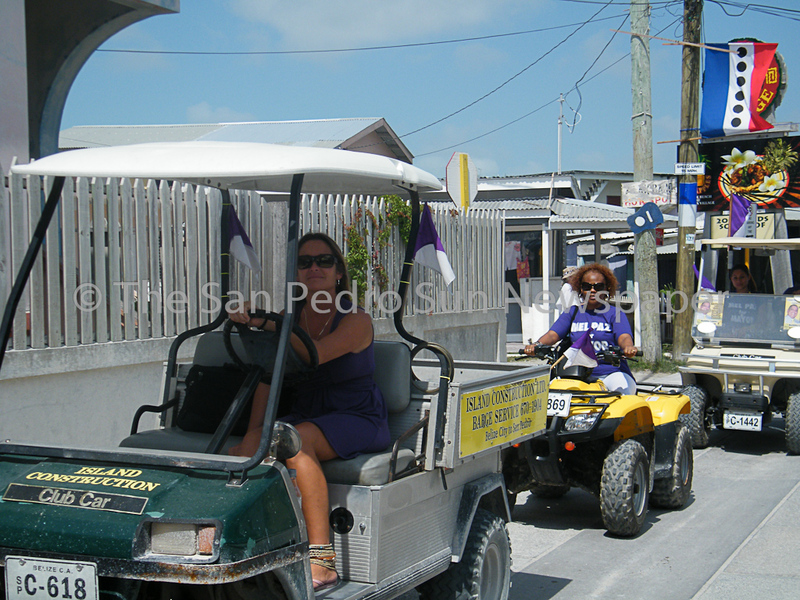 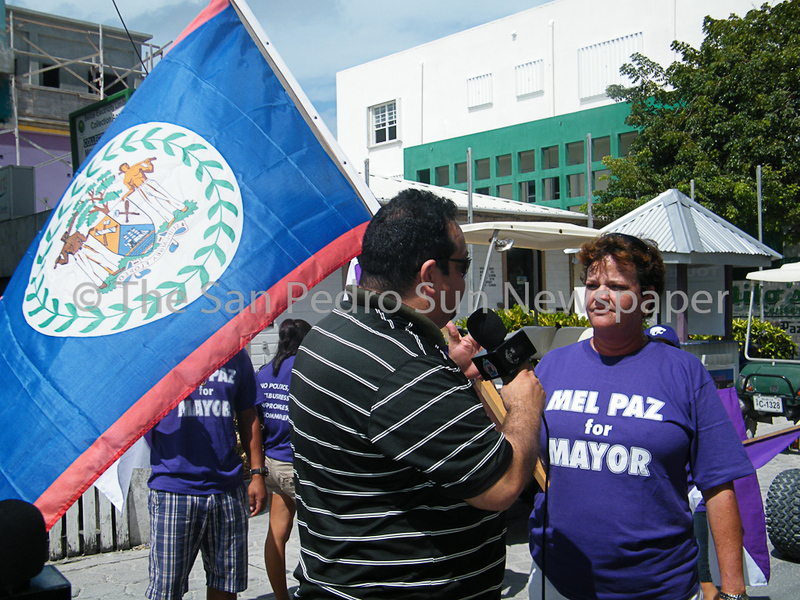 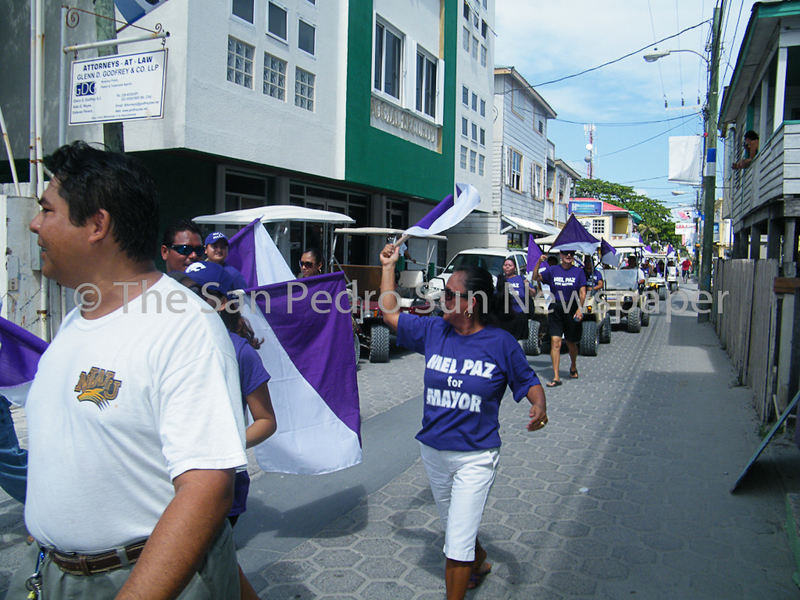 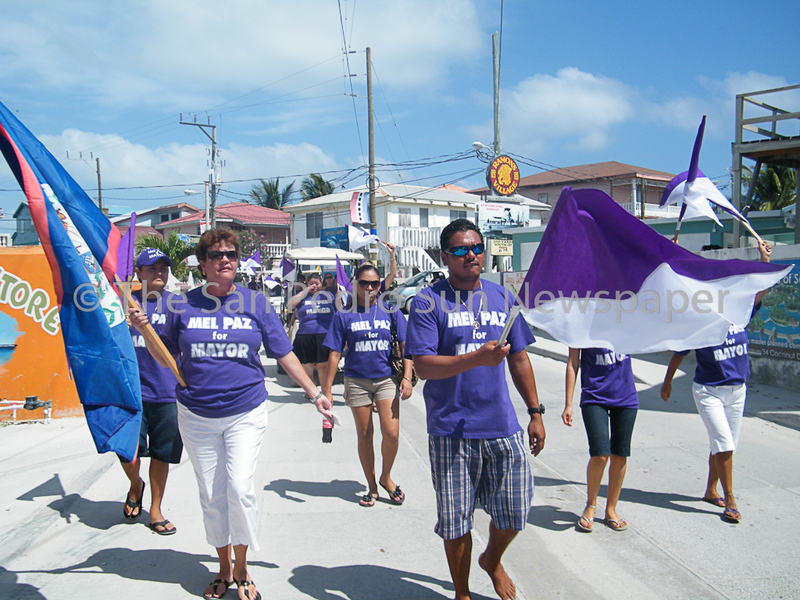 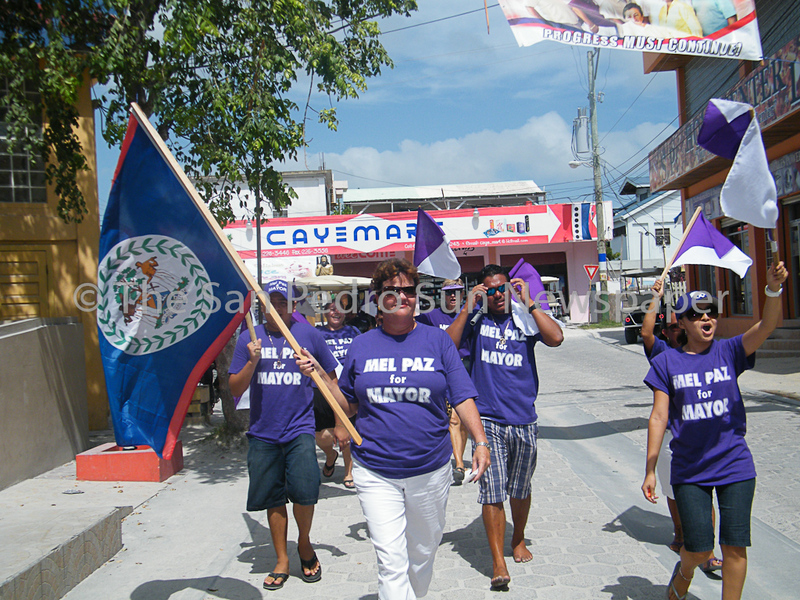 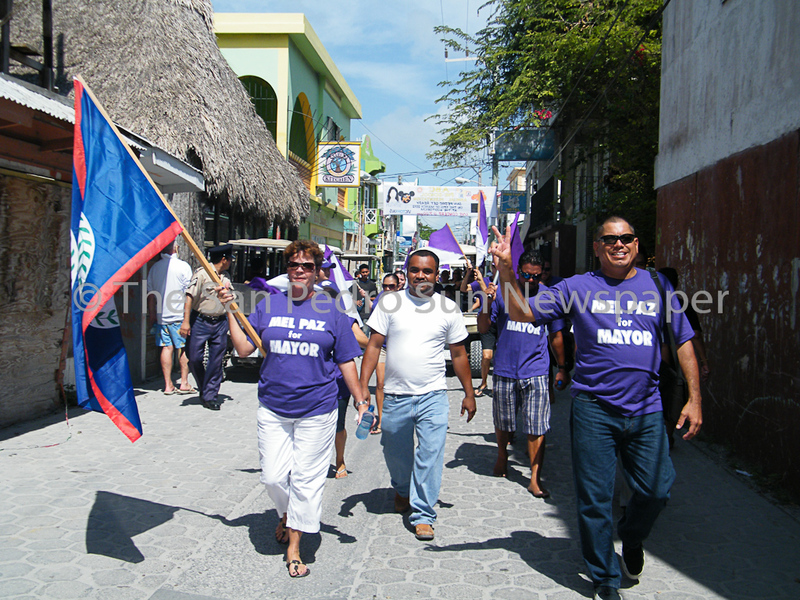 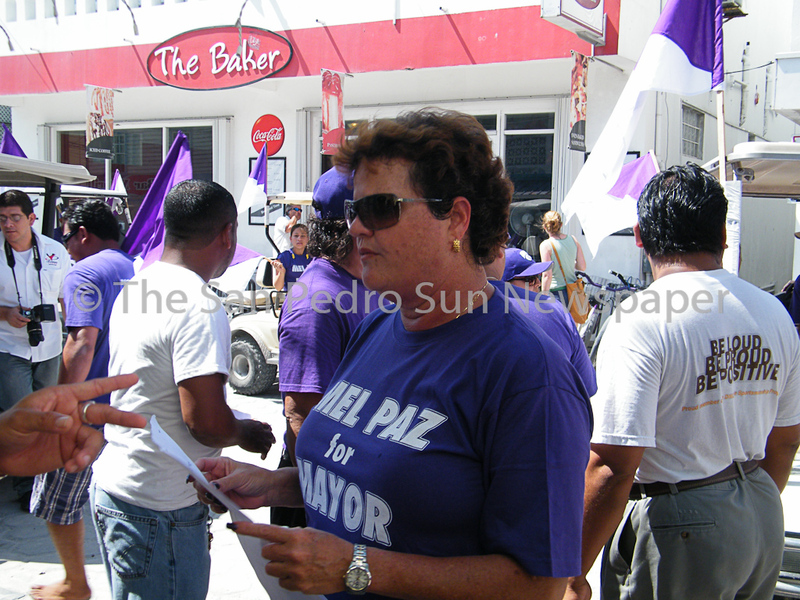 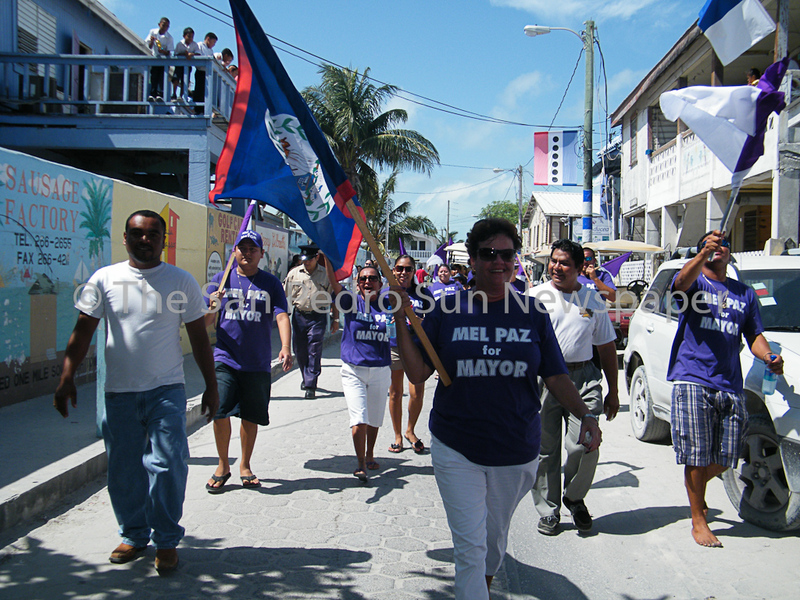 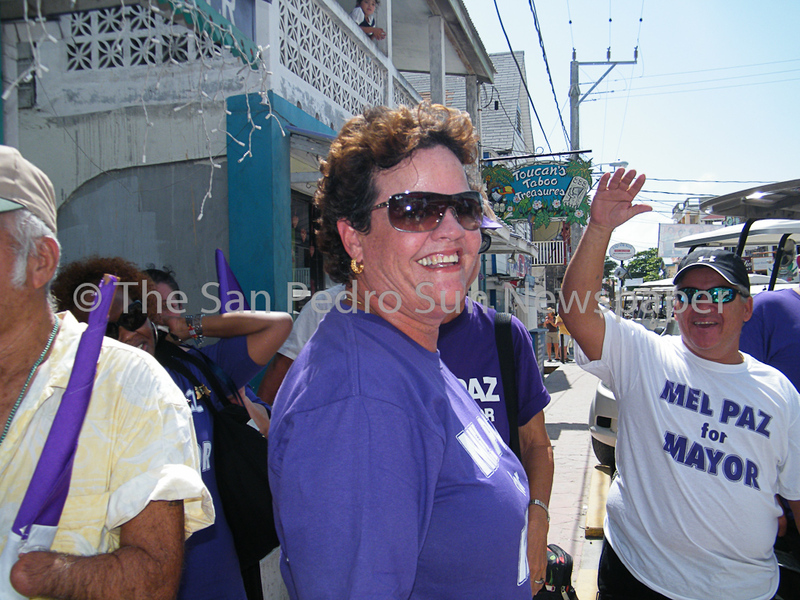 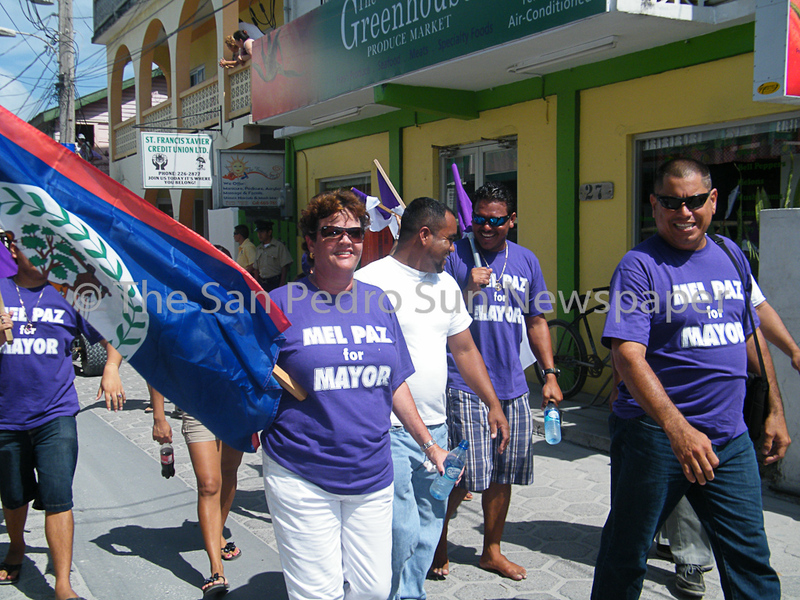 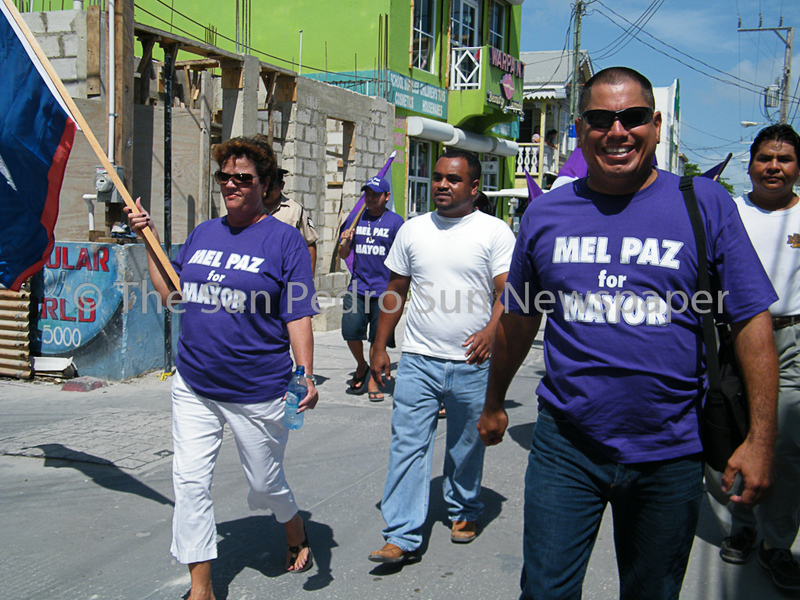 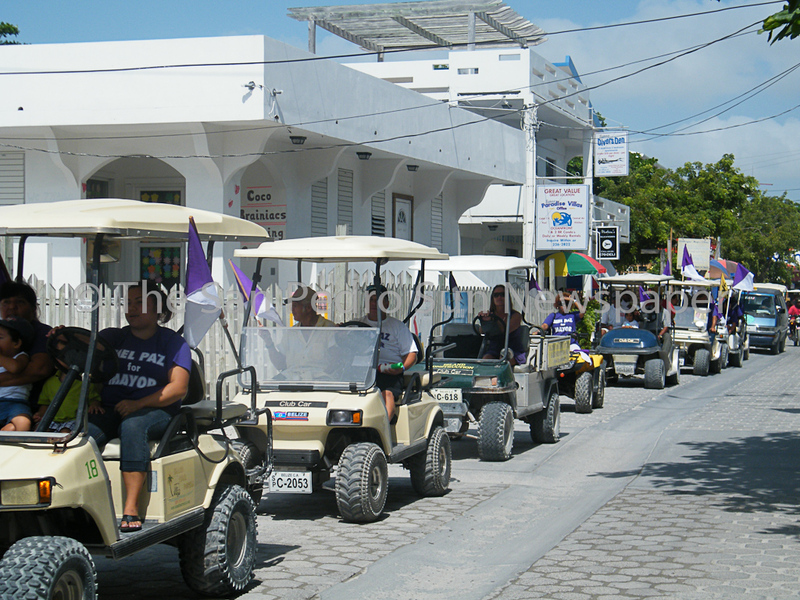 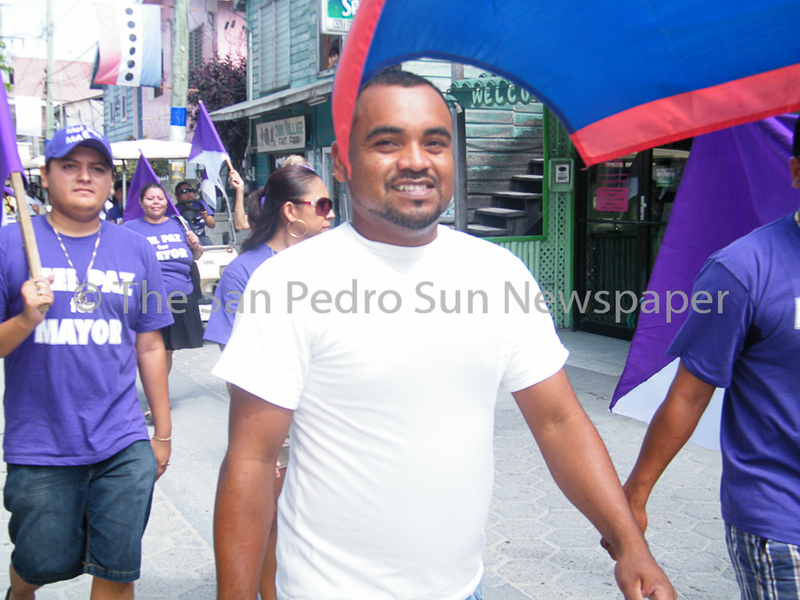 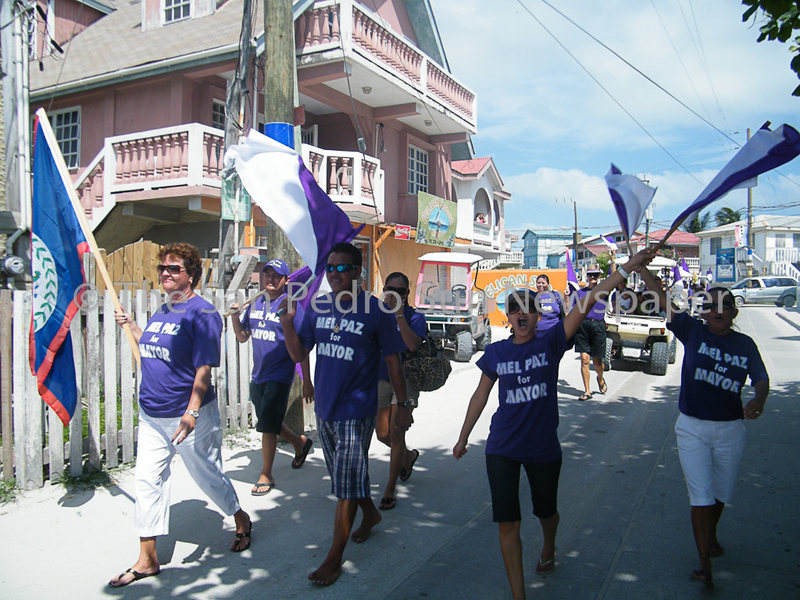 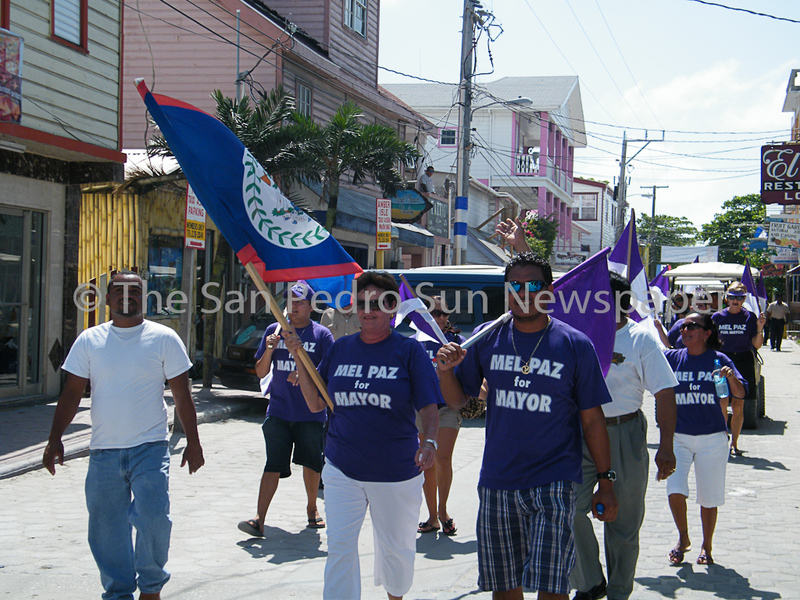 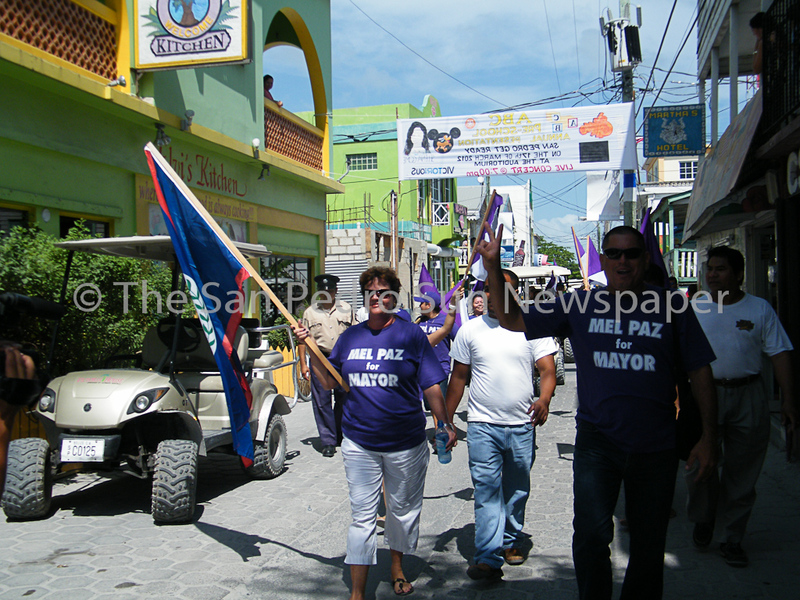 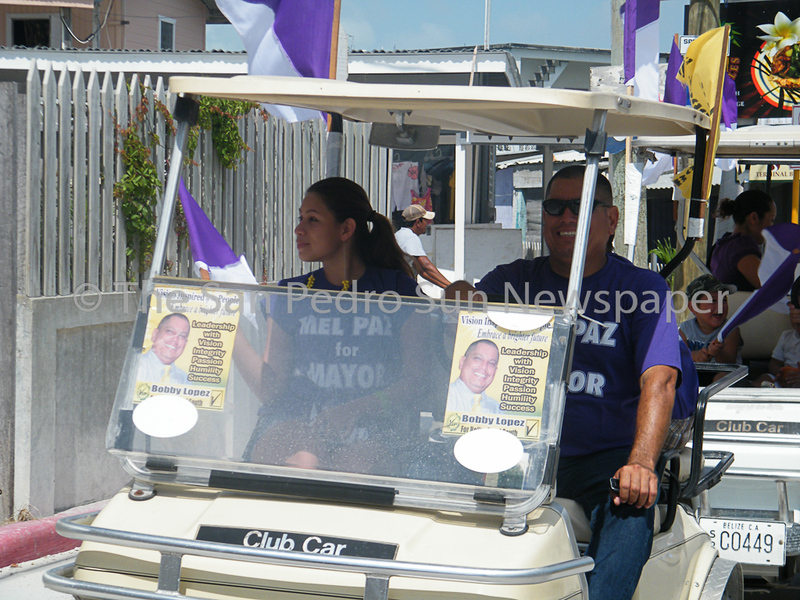 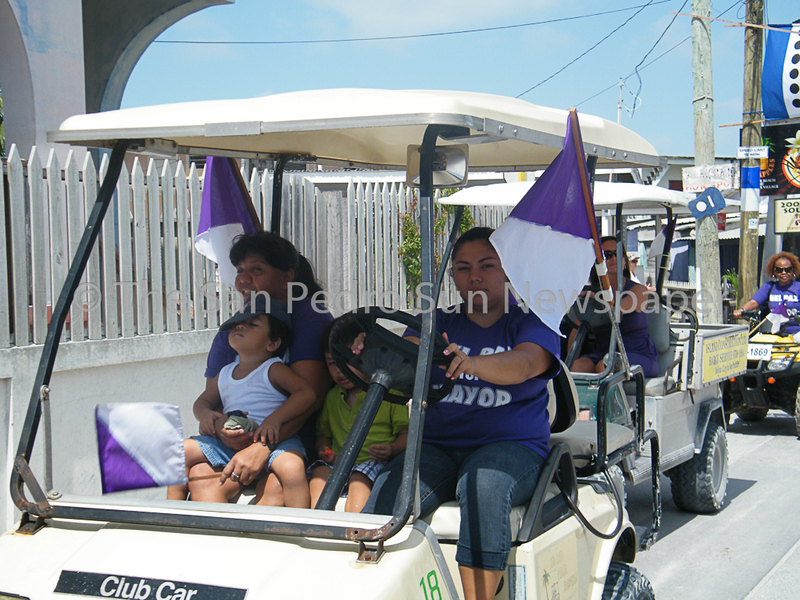 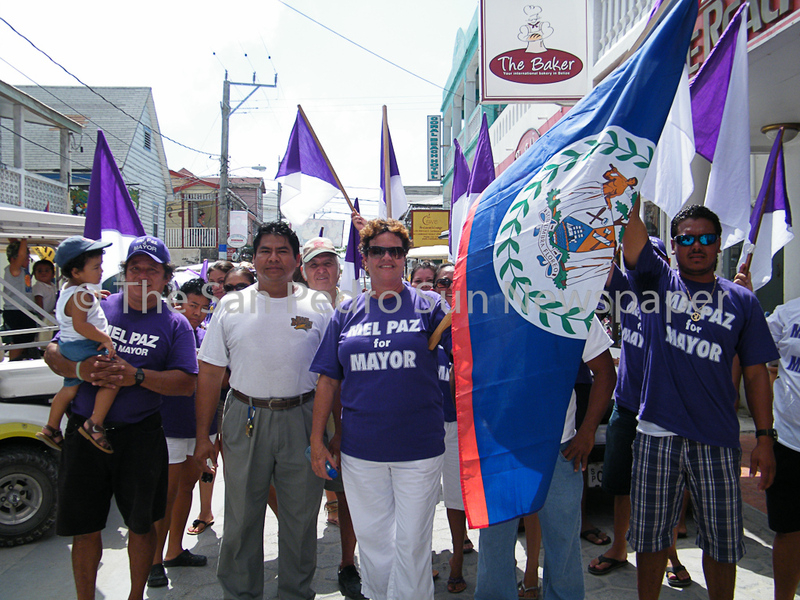 Shortly before 1PM Independent Mayoral Candidate Melanie "Mel Paz" along with her core campaigners assembled on Laguna Drive and walked down the principal streets of San Pedro. 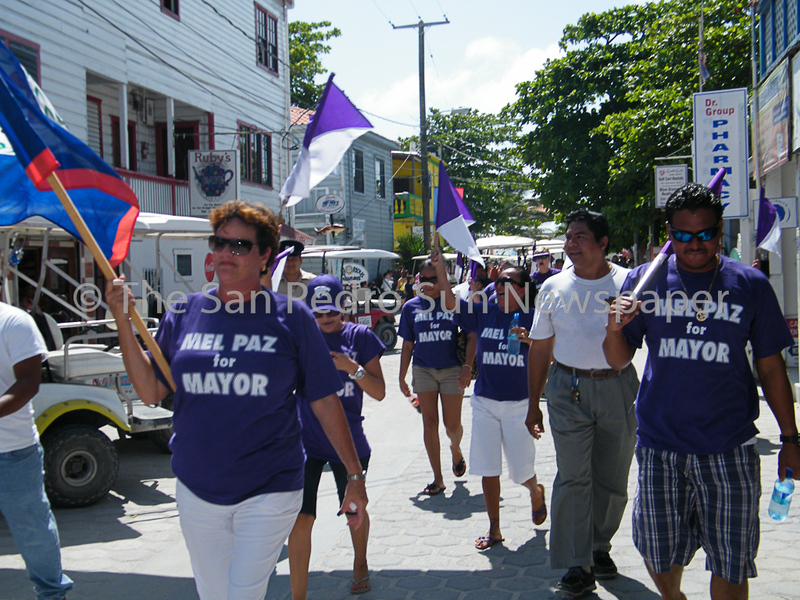 Blowing horn and chanting, Paz and her group made their way to the Town Council where Paz was duly nominated. 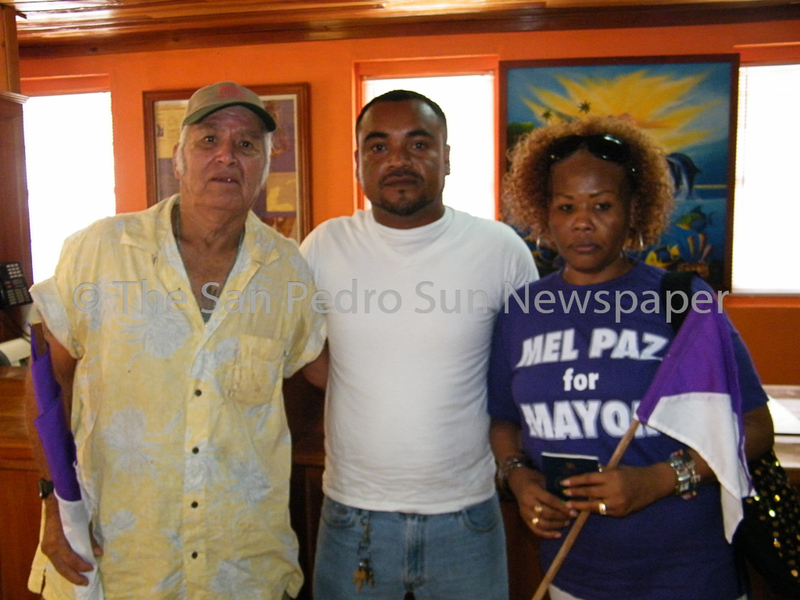 Maz was officially nominated by Priciliano Rigoberto Kumul and Miguel Alberto Perez. 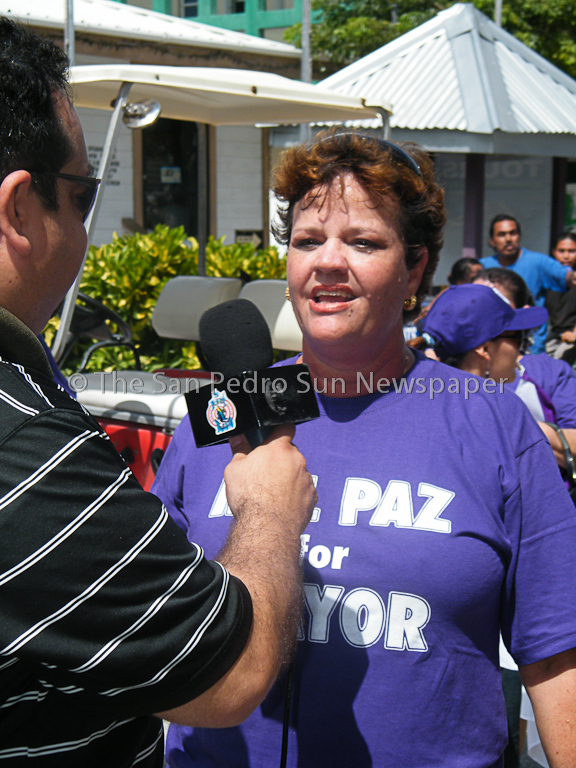 Following her nomination Paz explained that finally there is a choice other than the two political parties. 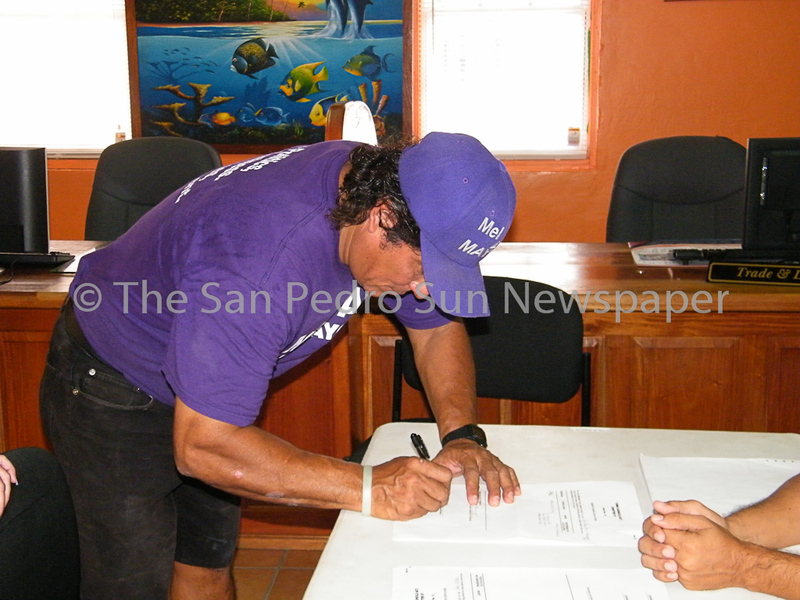 "I have been waiting for this day for long and finally its here. 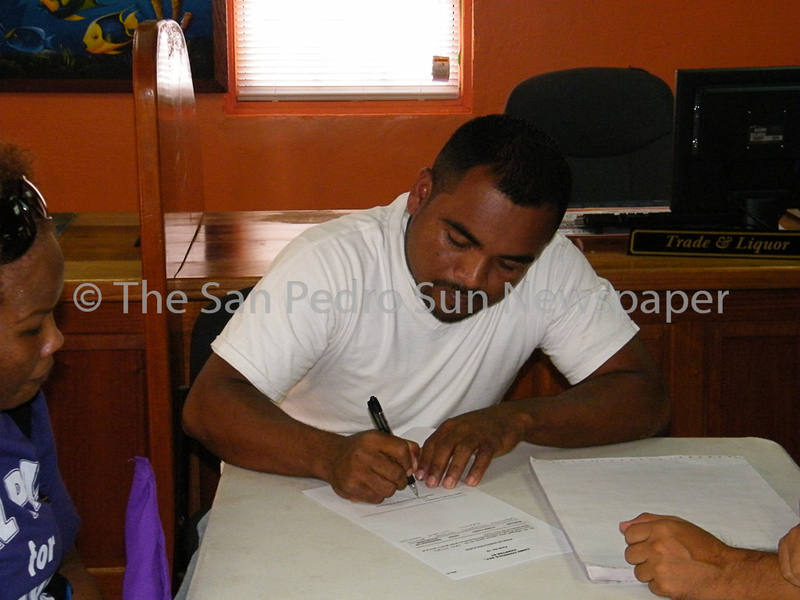 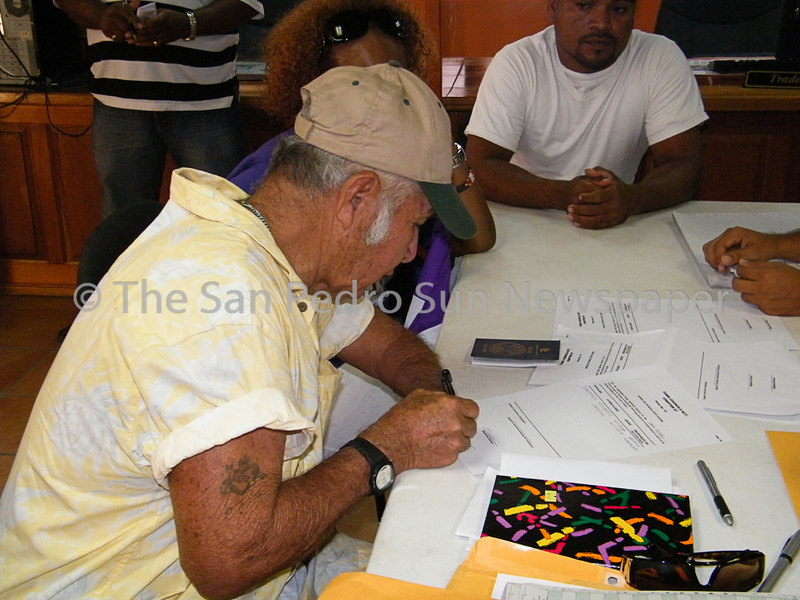 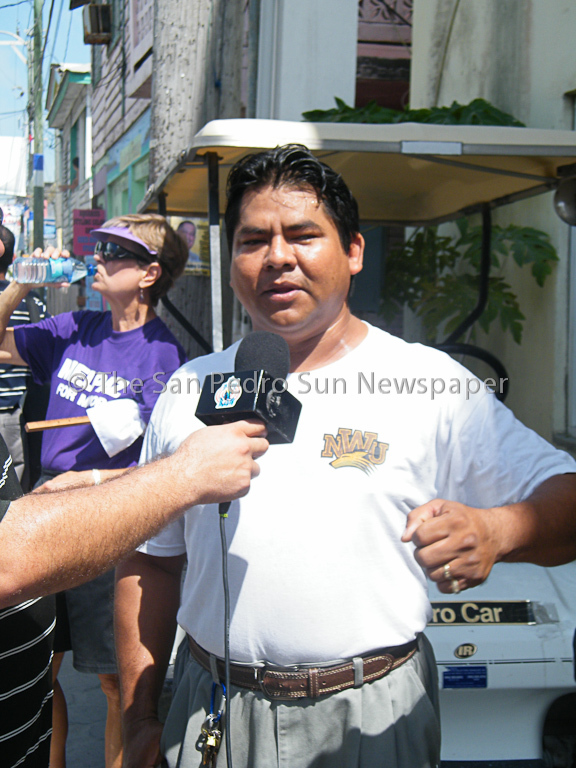 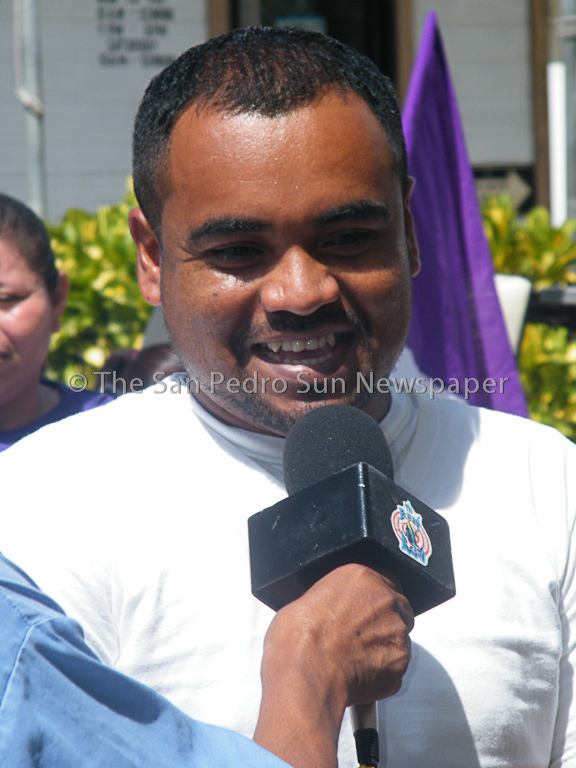 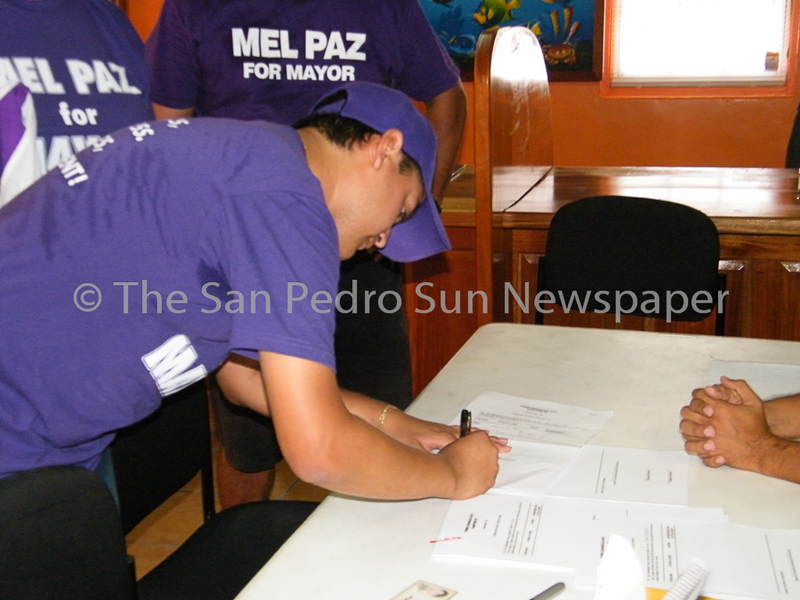 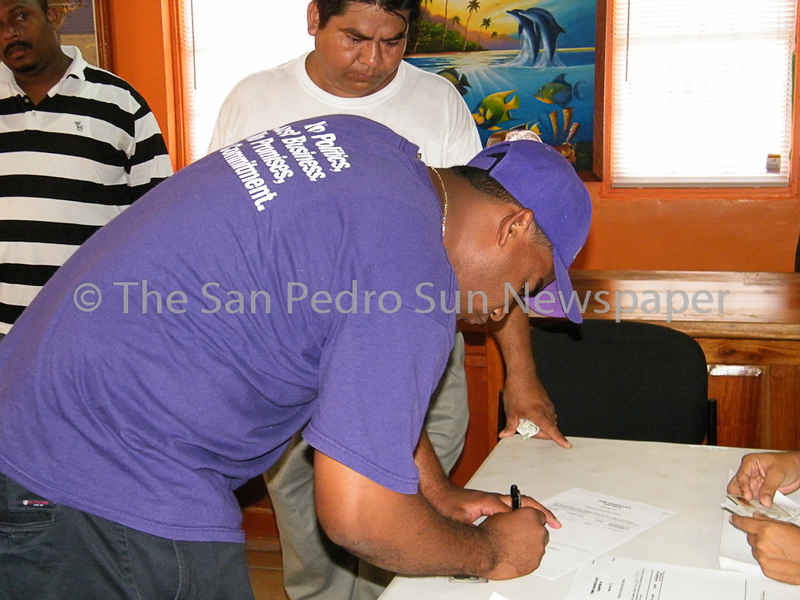 I am confident that on Election Day, the people of San Pedro are going to vote wisely. 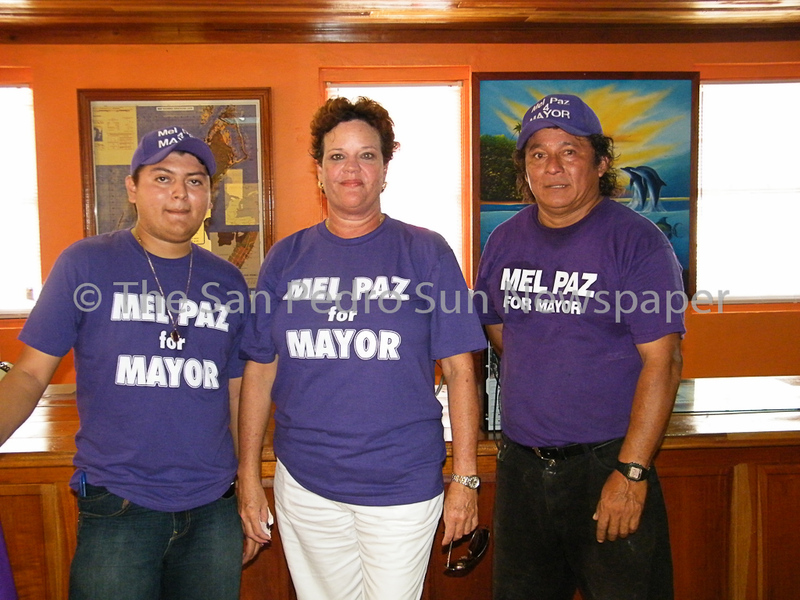 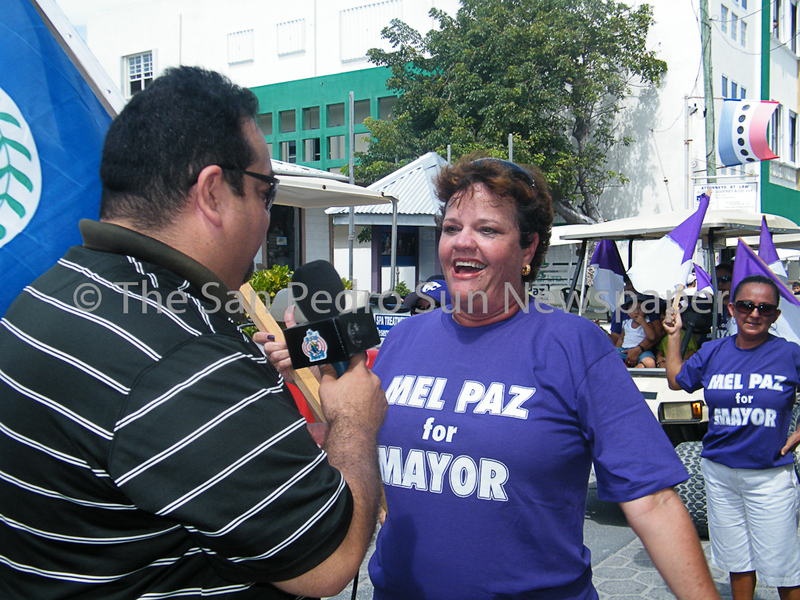 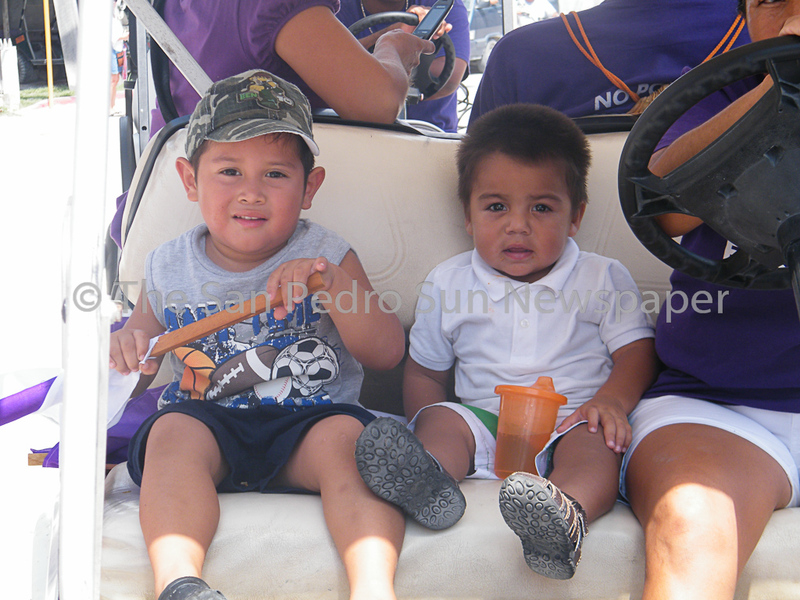 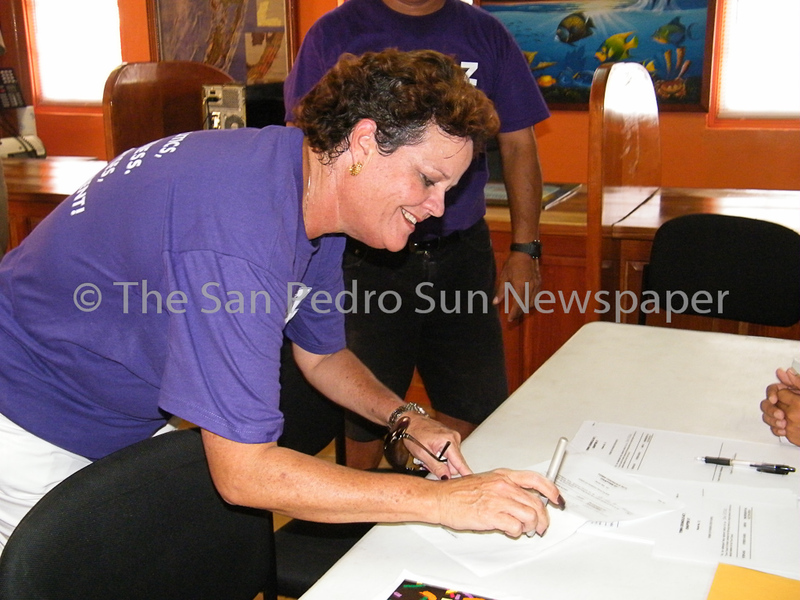 They are going to vote for Mel Paz," she explained. 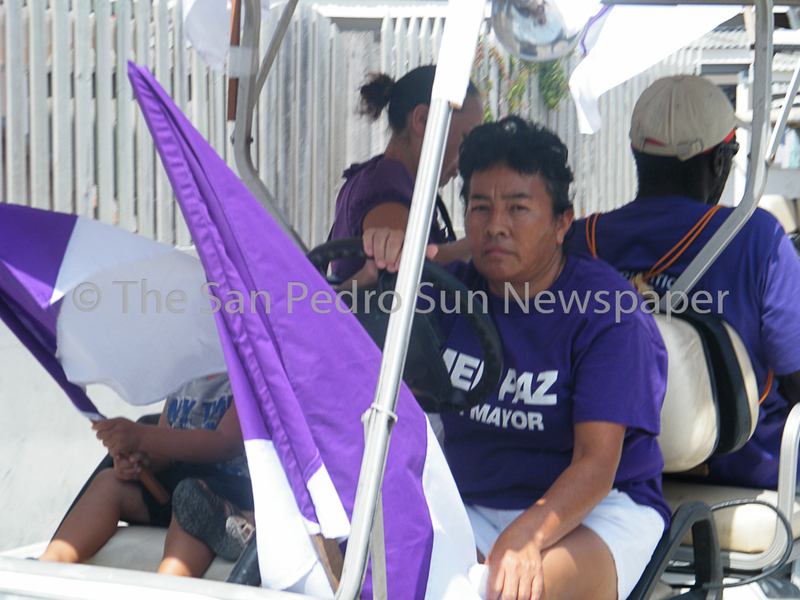 Beside Paz independent candidacy, there were two independent councilor candidates who are running on their own. 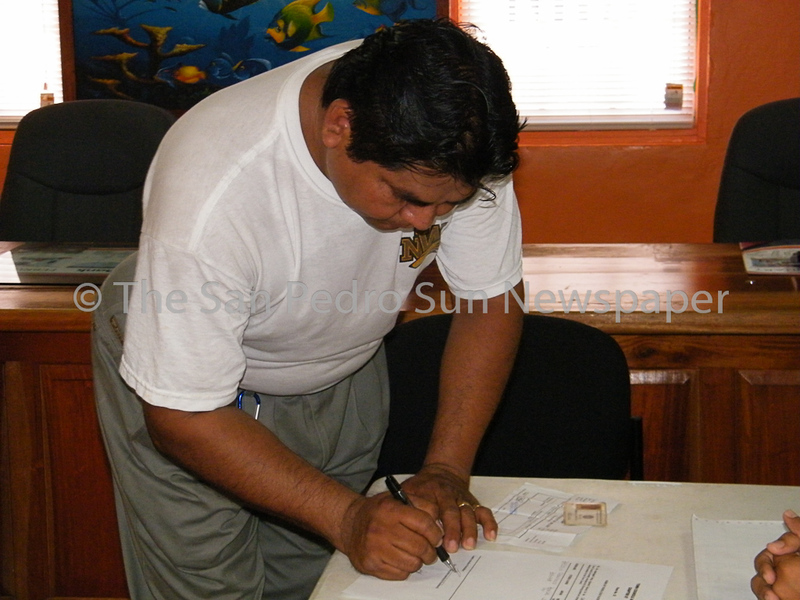 The two councilor candidates are Bernabe Badillo who was nominated Earl Sutherland and Hilberto Sanchez was nominated Micheal Thompson and Orlando Guerrero.